For large jobs which extend over a long period of time from start to completion, progress payments and partial billing are a good and tested solution to improve cash flow and minimize the risk of a bad debt. Cyrious's Progress Billing option through the % Complete sliders is an excellent and easy way to create and issue a progress-billed invoice. In fact, we have observed it is an enormous time-saver over alternative methods such as manually splitting orders. However, there are a number of situations which a company must anticipate and prepare for when setting out to use this capability. We have been using this feature ever more regularly for more than two years now and have encountered a number of problems which we hope by sharing here we can help other users just embarking on the use of this great tool avoid or solve more efficiently. Please note that in the interest of brevity and readability we have not included source code for the macros. If any user would like the souirce code for the macros or the rpt files for the Crystal reports shown in this posting, we are happy to share these. Just email steve@acornsign.com or andyp@acornsign.com and we will send them to you. Creating a progress bill with the % complete sliders is deceptively simple. Move the slider to the % you want to bill. What happens when you do that is Cyrious will create GL entries which move the % of the line item total price billed into an Income and Tax, if applicable, Account and reduce the WIP balance. Cyrious has a Crystal report which will create an invoice from these selections. 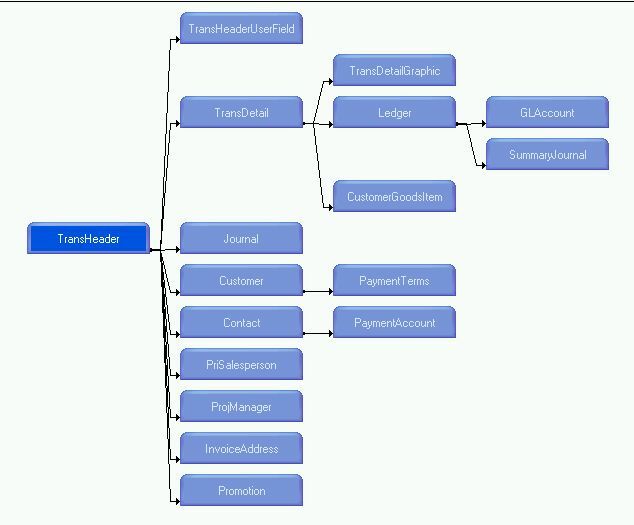 For more complex invoicing – E.g. where you need to show invoiced amounts net of retainage, you will need to use a custom invoice report. Amounts Due For Progress Payment Invoices Are Not In Standard Receivables Aging Reports. Contract For or Create Custom Reports. 2. Since the order is technically in WIP, the amounts due will not appear in any aging report. To track progress billed invoices and flag those which are 30,60, 90 days and more past due, you must create your own custom reports. 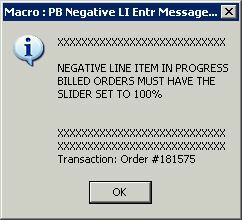 Also, you must have a means of knowing which slider entries apply to which invoice - see item 3 below; The picture below shows an excerpt from the Receivable Report with entries for a single order still in WIP status with 8 Progress Billings netted for payment terms, payments and retainage. If Progress Billed Invoices Exceed the Order Total, Correct Immediately at the time of Occurrence. 7. Cyrious does not net the Progress Payment invoices against payments until the order is marked Sale. For this reason when there are deposits or payments made on orders with progress payments, the Cyrious Balance Due field will not be physically accurate. (We say physically because there are technical arguments about what the balance is before the Order is marked Sale.) You must create a custom Balance Due report from the Ledger. 8.. We occasionally need to know what amounts have been progess billed, when and by whom to answer customer inquiries or other adminstrative requirements. A custom report was created for this purpose. 9. If the amounts progress billed are not a material portion of WIP, the WIP balance is not an issue. For us, the amounts progress billed can range from 20% to 30% or more of the WIP; so to predict and/or plan monthly, quarterly, annual, etc. sales – we needed to rewrite the reports to show amounts progress billed and deduct them from the Order's Total Price for accurate forecasting. For this purpose we have created the concept “WIP Value”. which is the Total Price minus Progress Billings. The example below shows a sample report. It is possible to retrieve Progress Billed data from Crystal and in fact its Grouping capabilities can make it easier. However, since we are pulling a lot of records deom the Ledger which then have to be grouped and summed, some reports can take an unacceptably long time to run. So, we have had to use the Crystal Command function to embed SQL to pull the data. Additionally, we found that we were rewriting the same code so often, we created a number of SQL functions to pull PB data - E.g. 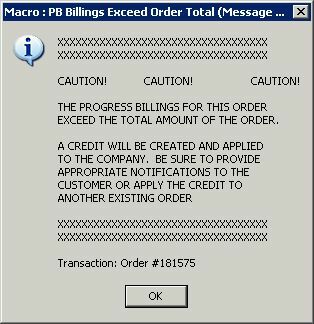 how much has been Progress Billed for an Order. Below is the SQL code which retrieves the amount invoiced for an order. If you have some familiarity with SQL, you can modify this code to get most of what you want – I.e. to get the amounts invoiced on a specific date, Group the query by Ledger.EntryDateTime. Also, for this installation, the GLClasssificationType codes for Income and Taxes are in the 4000-4999 and 2005 ranges respectively, For installations where that is not the case, the correct numbers would need to be substituted. For those who wish to use Crystal, the picture below with the tables and their linkages might prove helpful. The Salesperson and Project Manager tables are aliased Employee tables.